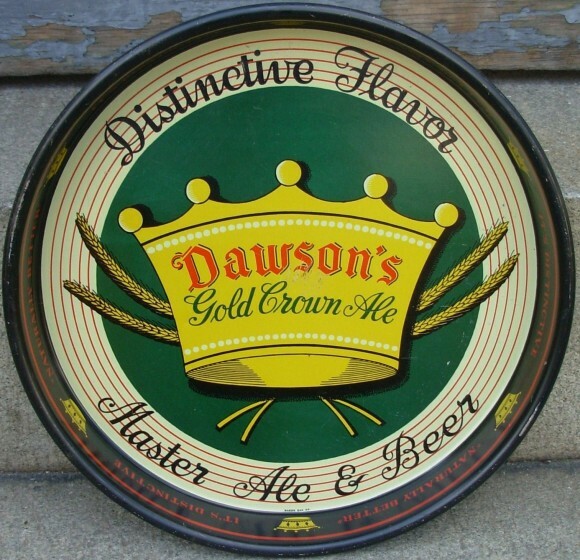 Serving Tray for Dawson’s Gold Crown Ale from Dawson’s Brewery, Inc of New Bedford, Massachusetts. Text around the border states “Distinctive Flavor” and “Master Ale & Beer.” The center shows a gold crown with barley in the background. This 13″ round tray was manufactured by Mason Can Co. and dates to the 1940s.